Many remember the Eastern United States flooding of June 2006, a widespread flood that affected numerous watersheds and communities from North Carolina to upstate New York, causing millions of dollars in damages and taking 16 lives. 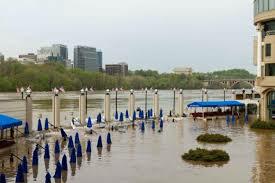 In the Federal Triangle, two metro stations were flooded and several federal buildings such as the National Archives, the Internal Revenue Service, the Department of Justice and several Smithsonian museums were forced to temporarily close. 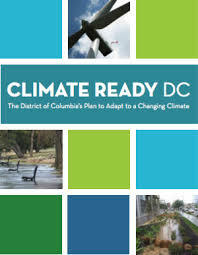 In response to severe weather events such as the 2006 flood, District Department of Energy and Environment (DOEE) prepared and recently released the Climate Ready DC Plan which identifies 77 actions to reduce risks to infrastructure and its citizens. Among other things, the plan aims to make “100% of District waterways fishable and swimmable by 2032″. No small feat. One goal is to “Relieve pressure on stormwater infrastructure and reduce long-term flood risk” with a target of capturing 75% of rainwater on-site for filtration or reuse. 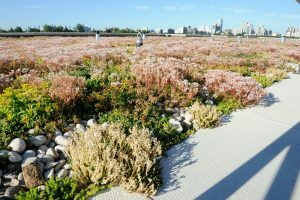 The first on its action list for stormwater management is the creation of two million additional square feet of green roofs by 2032. Such actions will “help prevent runoff from ruining river water quality and destroying plant and animal habitats”. Mayor Vincent Gray’s ambitious vision is for Washington to become the” healthiest, greenest, and most livable city in the United States”. In achieving these goals, Washington “will be a model of innovative policies and practices that improve quality of life and economic opportunity”. It is am important and grand plan. Let’s not only wish them luck but let’s work together to make it happen.